As of 2018, there are more than 2.2 million iOS applications on the Apple iOS App Store. 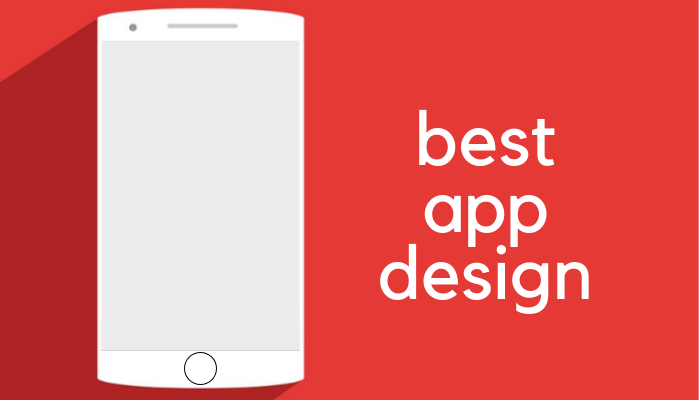 A lot of these apps have been hailed for having the best intuitive designs. However, some of them have come under scrutiny over skimpy designs or the wrong development approach. Taking into account the iOS developer cost, clients or businesses must better make sure that they hire the right person to help them build applications that users actually enjoy. Whether you are an already existing company or a freshly brewed startup, you will always need an inspirational recommendation for mobile web designs when it comes to developing your own iOS apps. In this series, we have highlighted a list of iOS apps with an excellent design, intuitive features, and peerless functionality, live chat software and a lot many features. Before we check out those apps, here is a brief review on the overall app development approach. Given the upsurge of iOS developer jobs and the use of remote employees, it’s important to be familiar with the technological approach behind the iOS mobile app development process. This is because just like other platforms, iOS mobile platform requires separate and specific tools for any app to be developed on it. And your team needs to know this. The overall iOS application lifecycle mostly relies on Xcode right from the beginning to the end. It is the primary Integrated Development Environment for iOS app development and helps in creating excellent iOS design patterns and user interface. Together with the storyboard, the Xcode IDE also helps in creating the app files, debugging, and in submitting the finished apps to the app store. If you are a serious entrepreneur looking to create an equally serious and long-term app, you should consider partnering with an iOS app development company capable of developing and handling a native app. This because they help attract more users, courtesy of their intuitive designs. To do so, you need an iOS SDK that features application programming interface to link the software applications and the iOS platform. Different developers and software owners choose their preferred iOS programming language to take the way ahead to build iOS apps. Here are some popular languages you can choose from. No one can discount Objective-C language as it was the pioneering language that most early iOS app development projects used. This was before the debut of Swift. Developers continue using this language to make updates in early apps. This is so because it makes sense to use similar language for updates. Swift is a relatively new programming language. As noted above, it started operating in 2014 although it became open-source in 2015. It has been considered as the future of programming, thanks to its stability and making the code safer. As such, it helps developers avert the problem of unwanted bugs which means minimal crashes; hence, making the software development process more efficient. 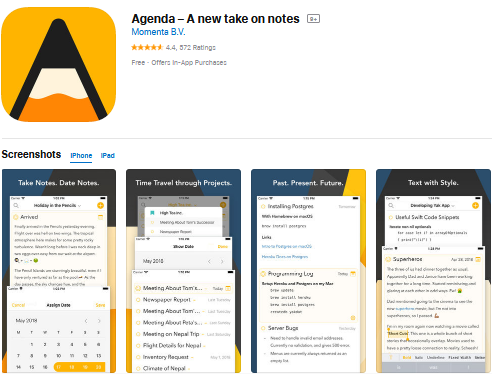 Initially available on the Mac, the Agenda app expanded on May 2018 to accommodate iOS devices. The app is one of the widely used note-taking apps currently available on the market. It was all about giving users greater control over their time allowing them to plan, manage, and synchronize activities in a seamless and efficient manner. Both the iOS and Mac versions feature identical designs, interaction models, and even feature sets. As a user, you will appreciate that fact that the app doesn’t coerce you into using a predefined system. On the contrary, it gives you multiple alternatives for organizing and viewing your notes. It carries the tag, filter, sort, and search features. It also supports external keyboard for iPad users. Lastly, the existing note-taking function supports HTML, Markdown, checkboxes, and more. 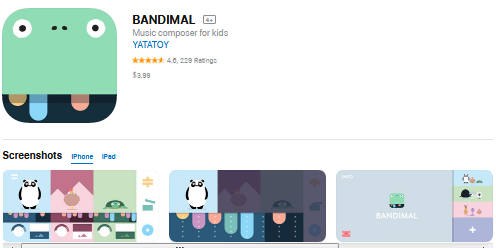 This app is ideal for kids and even parents who don’t have any musical background or knowledge. It allows the user to read notes by assembling animals to come up with musical loops. In terms of functionality, the app allows you to come up with catchy drum loops right at the beat section.You can also apply effects on these drum loops and control the loop speeds. After composing your songs, you can save them to your collection, without compromising on the audio quality. The only major drawback of this app is that your compositions can’t be exported although the app promises to introduce this feature in the future. 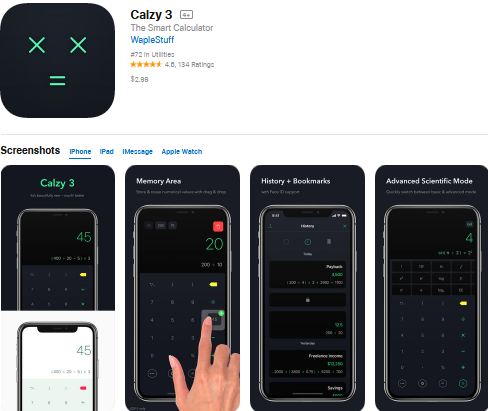 Calzy 3 is a futuristic and excellently crafted calculator iOS app. It features an incredible and neatly laid out app icon design. One thing that you will immediately realize when tapping on the screen is the subtle sound followed by a haptic feedback. 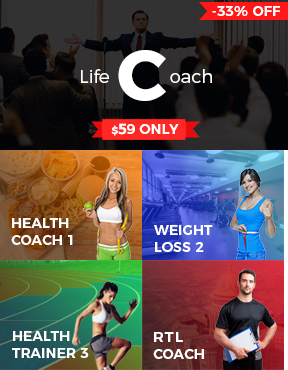 The app offers a choice of up to 12 colors options in its theme highlight colors. It also has different screen color modes. A newly added feature called “Memory Area“ stores your numeric values to help you finish your calculations later. It also stores the history of your calculations and shares all the old results. Similarly, you have the freedom to label specific calculations and store them as bookmarks. iTranslate happens to be the closest thing to having a foreign language translator by your side. 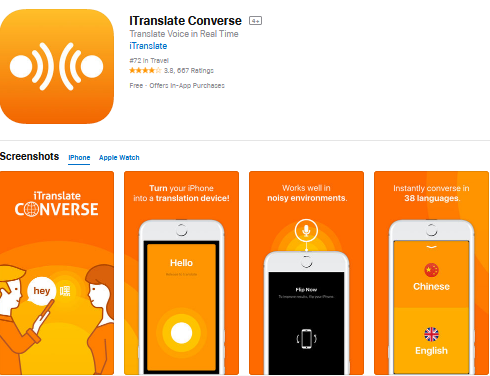 It’s a real-time translation app that works by holding your iPhone upside-down and speaking into the microphone to give you results, with more than 38 available language options. You simply speak in the native language and listen to what it means in your preferred language. The iTranslate app is super-easy to use, thanks to its clean and minimalist interface. It also stores the translated transcripts for future reference or sharing. 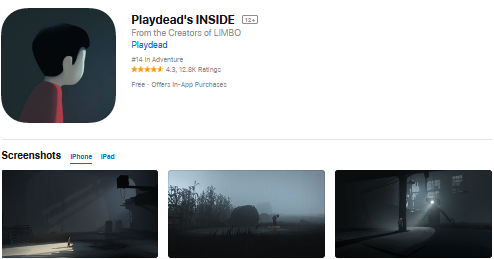 Playdead Inside gives iOS app programming a whole new meaning. It comes with a landscape mode, but the game mechanics make it easy to play with one hand, irrespective of the device you are using. A simple swipe and hold on the screen allow you to navigate on either side of the screen whereas an upward swipe allows you to jump. The iCloud sync allows you to run the app on iPhone, Ipad, and even Apple TV. To prevent losing your progress, the app has installed multiple checks and save points. As you can see, there is no shortage of great iOS apps with great designs. As an entrepreneur or an IT project manager overseeing an iOS mobile development project, these apps can serve as a great design inspiration. While these apps specializing in mobile app development continue to grow, you shouldn’t have a problem landing a good UI/UX designer to build an app with a great design.